New York Attorney General Eric Schneiderman recently reached a $7.5 million settlement with two New York City bus operators for allegedly creating an illegal monopoly. Coach USA, CitySights LLC and their joint venture Twin America were sued after allegedly creating a loss in competition in the city's hop-on, hop-off bus tour market. The settlement with the attorney general's office includes requiring the operators to surrender approximately 50 bus stops around Manhattan controlled by CitySights, including locations in Times Square and near the Empire State Building. The operators will also pay $7.5 million in profits they obtained while operating the alleged monopoly between 2009 and 2015. 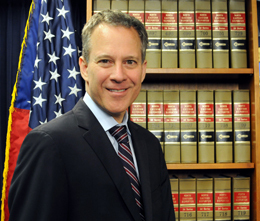 Schneiderman's office filed the lawsuit in 2012 alleging when Twin America was created it violated antitrust laws, which caused higher prices for the hop-on, hop-off bus tours in New York City.